Punxsutwaney Phil didn’t see his shadow, meaning spring is on it’s way so they say. Whether or not springtime weather will be here to stay, we will have to wait and see. Sooner or later the freeze will thaw and we will all be eager to enjoy some outdoor time, including our pets! Another season brings new dangers that may or may not be on your mind. Over the holidays, we think of all the food and indoor dangers to our pets. Now that the great outdoors will be their playground once again, it’s helpful be aware of what may cause an unexpected trip to your local urgent care facility. This one may seem obvious but adding some curb appeal to your home or preparing an area for that vegetable garden you have been longing for all winter can come with some serious consequences for your cat or dog. 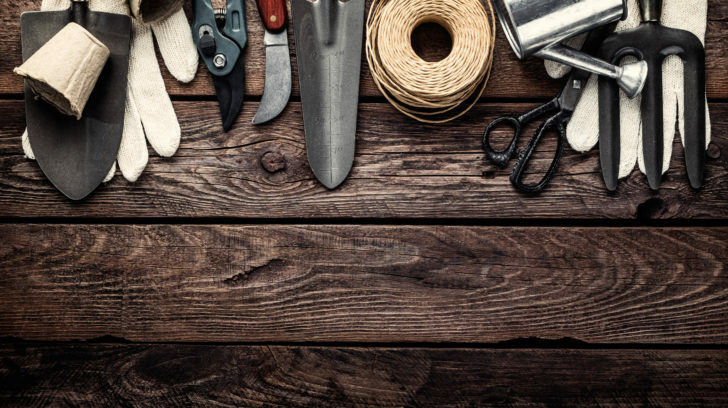 Aside from the usual reminders on poisonous plants, don’t forget about the garden tools. We have all seen that funny skit where someone steps on a rake and it pops up, striking them in the face. Well, for a dog excited to stretch his legs running through the yard, garden tools can pose quite a danger. Rakes, shovels, spades and all those other sharp tools can create an obstacle course ready to puncture a paw or lacerate a leg. So keep tools in an area your pet cannot step on them. Finally, fresh air! No more, stuffy dry air from the heat running. All winter, your cat likely loved lounging in the window sill, soaking up the warm afternoon sun. When warmer temperatures arrive and you open the windows, keep in mind your cat may still be yearning for some time in his favorite sun spot….but now that protective glass window is gone and only a thin screen is in it’s place. Take a moment to make sure your cat has a safe spot to lounge, without the risk of falling through a screen. April showers bring……bugs of all kinds. Be sure your pet is protected from fleas, ticks and mosquitoes. Speak with your primary care veterinarian for product(s) that will suit your and your pet’s needs. It’s is not just the obvious creepy crawlers, like fleas and ticks to be aware of. Watch out for bee hives and open holes where curious noses may sniff. Bee stings are common in warmer weather along with snake bites as a result of a curious pooch. Enjoying the warm sun is good for the soul, no question there. But going from couch potato to cross country runner, is quite a leap. Make sure as the thermometer rises, fresh water is always available to your pet, especially during heavier activity. Access to shade is also important to give a break from the sun’s rays. So get outside and enjoy the warm weather when it arrives! Just keep in mind, each season brings new dangers to be aware of not only for ourselves but our pets too.